Ionuţ Cofaru graduated from the Faculty of Law in 2014 and has been a member of the Bucharest Bar since 2014. In his time as a student, Ionut has participated in numerous competitions, the most renowned of them being The Philip C. Jessup competition. 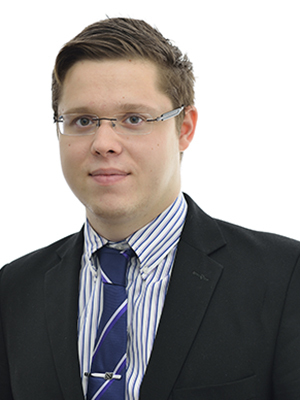 Ionuţ joined our team in October 2014 and is now focusing on improving his knowledge in the area of intellectual property and litigation. • advising one of the most renowned watches retailer in Romania in trade mark protection matters. Ionuţ is also coordinating seminars of Civil Law at the Faculty of Law of the University of Bucharest.